The new square in front of King's Cross Station will always be plagued by traffic, but it's doing its absolute best to make it as pleasant as possible. The latest addition, installed earlier this month and on loan for five years, is a three metre high bronze by Henry Moore known as Large Spindle Piece 1974. 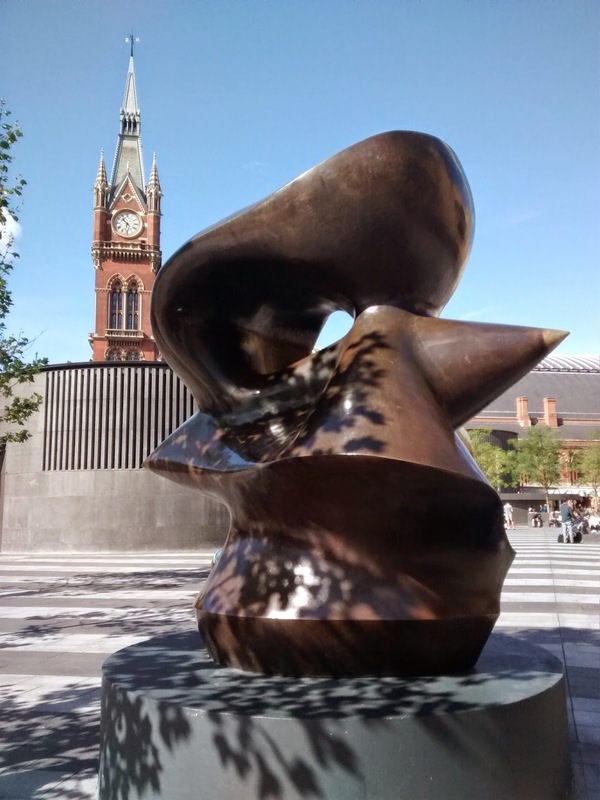 We are told that this location is especially fitting for a work by Moore, as King's Cross is a good station to access his former home at Perry Green in Hertfordshire, now home to the Henry Moore Foundation, and his native city of Leeds in Yorkshire, now home to the Henry Moore Institute. This is true, but it's an interesting enough sculpture in its own right, and you don't need to create imaginary purpose for its location to enjoy it.